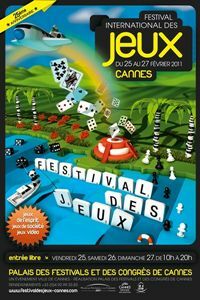 After welcoming 150,000 visitors last year, the Cannes’ Festival des Jeux hopes to do better between February 25-27, 2010. The 25th edition of the event will feature tournaments, encounters with games in development, video games, mangas, special all-night sessions and much more. One of the highights will be a selection of the very best games of the past quarter century. For details about this family-friendly event, visit Festival des jeux.